What Is The Process To Denaturalize Someone? A denaturalization action must be filed in federal district court. This means that a federal judge must be the one to actually denaturalize someone. It cannot be done by an adjudications officer, ICE agent, or other administrative employee or agency. A Denaturalization action can be brought in a civil action, under 8 U.S.C. §1451(a) or in a criminal action, under 18 U.S.C. §1451(e). What Is A Civil Denaturalization Action? The United States Attorneys Office has the authority to initiate a civil denaturalization action in federal court under 8 U.S.C. §1451(a). The grounds to file this action include that the certificate of naturalization was illegally obtained by concealing a material fact or by willfully misrepresenting something. If a person’s citizenship is revoked based on this provision, that person’s child and/or spouse can also lose their citizenship if it was based on the naturalization of the parent or spouse who was denaturalized. In a civil denaturalization action, the burden of proof is clear, unequivocal and convincing evidence that does not leave any issue in doubt. This is a very high burden but not as high as is required in a criminal denaturalization action. What Is A Criminal Denaturalization Action? It is a federal crime to unlawfully obtain citizenship under 18 U.S.C. §1425. A person can be prosecuted, convicted and sentenced up to 25 years in federal prison if naturalization was unlawfully obtained to facilitate terrorism, up to 20 years in prison if naturalization was unlawfully obtained to facilitate drug trafficking, up to 10 years for a first or second offense, and up to 15 years in any other case. Under 18 U.S.C. §1451(e), if a person is convicted under 18 U.S.C.§1425, the federal judge shall revoke the person’s citizenship. Any family member who obtained citizenship through the denaturalized person also loses their citizenship. In a criminal denaturalization action, the burden of proof is the same for any criminal case, which is proof beyond a reasonable doubt. This is the highest burden in law. What Happens If I Am Denaturalized? 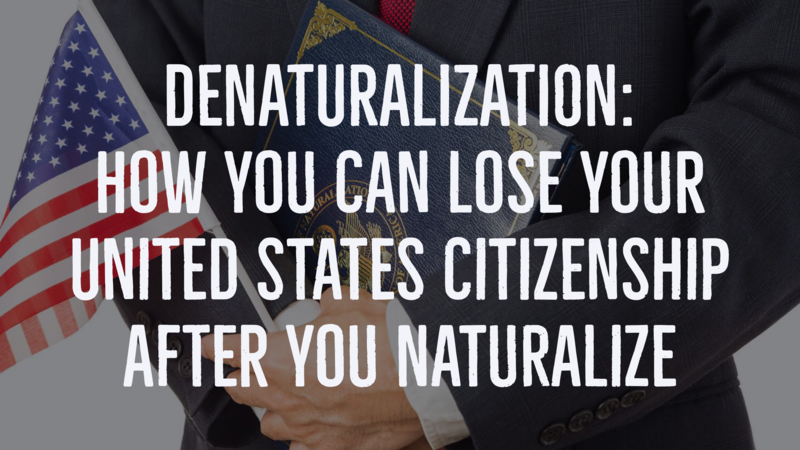 A person who is denaturalized loses their United States citizenship and all benefits that come with it. They can also be placed in removal proceedings and deported based the willful misrepresentation or material concealment. The U.S passport will also be revoked. What Are The Defenses To Denaturalization? The most common defense to a denaturalization proceeding is that the naturalization was not obtained through fraud or material misrepresentation. The government must prove that the misrepresentation was material to obtaining the naturalization, so a federal judge or jury would have to determine whether there was a misrepresentation and then whether that misrepresentation was material. 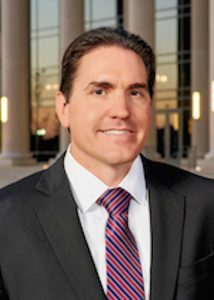 Waiver, laches, equitable estoppel and statute of limitations have all been held by courts not to be valid defenses to a denaturalization proceeding.